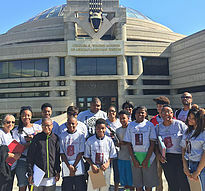 The Student Enrichment Program, like the Parent Opportunity Program, is a series of developmental classes and educational workshops for children and teens (5th - 12th grade) to better themselves alongside their family. Youth developmental and educational classes enrich their lives while we provide young people opportunities to use their talents and skills. Classes are offered from the fall to the spring with a special program available in the summer. All classes are free and run between 6 - 8 weeks. Past classes include: Fine Arts, Media, Health and Nutrition, and Science. 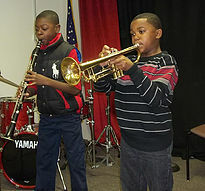 Music program for children and teens in the study of jazz. 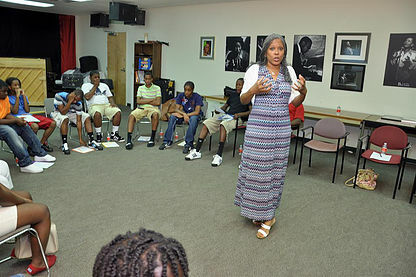 Annual conference for those in the Student Enrichment Program to discuss topics that impact the lives of youths. Developmental program for children and teens during the summer months.